A decades-long experiment with low-fat dieting has left us confused, angry, and more obese than ever. IN THE 1990S, BEFORE MY KIDS CAME AND MY KNEE WENT, I used to run marathons. I ate the standard long-distance-runner diet — bananas and bagels, pasta and pancakes — and I was always hungry. Seeking a salve to my never-ending munchies, I visited the well-regarded sports nutritionist Nancy Clark. Sitting in her office, then in Brookline, we discussed my diet. After about five minutes, she leaned forward, looked me in the eye, and said: “Fat is your friend.” She sent me home with a prescription to eat more peanut butter. Plus, fat was gross. 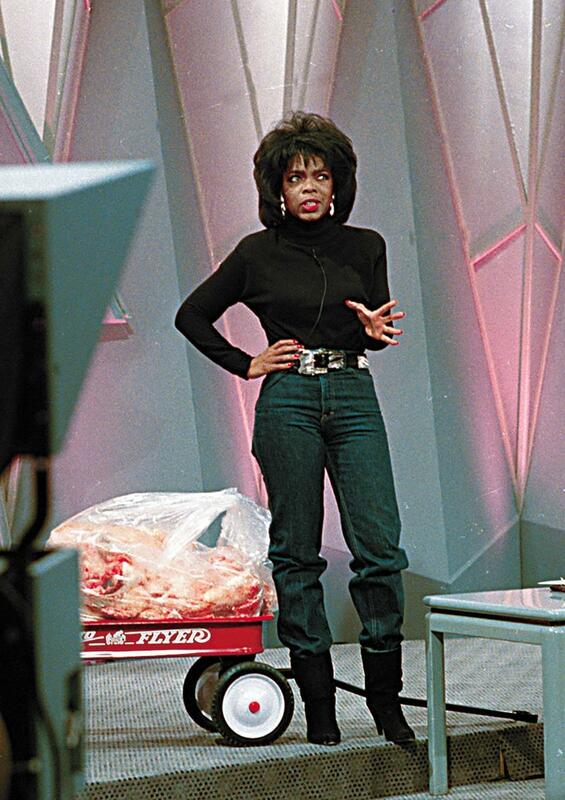 Remember in 1988 when Oprah pulled 67 pounds of greasy animal fat onto stage in a red wagon? That was the highest-rated episode in the history of The Oprah Winfrey Show. Me and Oprah: united in our mutual disgust. Fat was not my friend, no matter what the nice nutritionist said. That was the message people heard decades ago, and it still sticks to our national consciousness like peanut butter to a spoon. No matter that between then and now studies have shown that reducing total fat intake doesn’t lower your risk of heart disease or help you lose weight any faster than other diets. A study in Spain, in which scientists either assigned subjects to a Mediterranean diet— supplemented with nuts or extra-virgin olive oil — or simply advised them to follow a low-fat diet, was stopped early because the nuts-and-oil crews showed such striking reductions in heart disease risk. And yet, as they say, we missed the memo. According to a 2015 Gallup Poll, 47 percent of Americans are still actively trying to avoid fat in their diets. Why can’t we learn to love fat? The answer to that question is embedded in a bigger story, one about how our collective fixation on the components of food — like fat or salt or starch — rather than food itself, has warped our national diets. Over decades of hyperfocus, we turned our backs on actual fruits and vegetables in favor of mixed fruit “snacks” — 100 percent of your daily vitamin C! — and snack straws made of processed veggie powder. The war on fat was perhaps the most ferocious battle in a larger war on food, from which the survivors are emerging confused, angry, and more obese than ever. IN 1932, A HUNGARIAN BIOCHEMIST named Albert Szent-Gyorgyi isolated crystalline ascorbic acid — vitamin C — from red paprika and proved that it could treat scurvy. It was the first time a scientist had isolated a vitamin from food and determined its chemical structure, and four years later he was awarded a Nobel Prize for his work. Scientists also homed in on other nutrients that could ward off illness: Vitamin D prevented rickets, a disease that weakened children’s bones; niacin treated pellagra, a condition causing horrific skin lesions and dementia. In the United States, a country where thousands of people died every year from nutrient deficiencies, this was powerful stuff. The problem arose after World War II, argues Mozaffarian, when nutrition scientists used this same approach to tackle complex illnesses like cancer and heart disease. “Scientists and policy makers intuitively followed earlier methods that had been so successful in reducing deficiencies: Identify the relevant nutrient, establish its target intake, and translate this to recommendations,” he writes in Circulation. One of the most prominent scientists to study the link between diet and health was a University of Minnesota physiologist named Ancel Keys, who suspected that dietary fat might be a culprit in heart disease. Keys, who died in 2004 at age 100, launched the seminal Seven Countries Study in 1958, aiming to gather detailed data on diet and health from international subjects. Keys’s researchers collected information on foods that subjects ate at home, then created duplicate meals that they shipped to a central laboratory for chemical analysis. The early results suggested that saturated fat consumption was strongly associated with regional rates of heart disease but total fat intake was not. Such broad correlations are “the crudest kind of information,” says Walter Willett, chairman of the department of nutrition at Harvard T.H. Chan School of Public Health. But studies like Keys’s started to solidify, in many people’s minds, the connection between saturated fat — or any fat — and heart disease. “There was a very central belief that [saturated fat] was the main cause of heart disease,” Willett says. Industry also played a role. Recently, researchers digging through archives found evidence that the Sugar Research Foundation funded three researchers, including prominent Harvard scientists Fredrick Stare and Mark Hegsted, for work that downplayed the role of sugar in heart disease while promoting fat and cholesterol as the primary culprits. While sugar’s role in heart disease is still controversial, it’s clear that industry worked to influence the scientific debate, just as the sugar-sweetened beverage and candy industries underwrite some nutrition research today. When it came time to translate single-nutrient science into recommendations for the public, the nuanced, preliminary scientific understanding of dietary fat was often — not always, but often — oversimplified into a message that all fat is bad. The first US Dietary Guidelines, published in 1980, recommended that people eat a variety of foods and maintain an ideal weight. The guidelines also suggested that folks avoid too much fat, cholesterol, sugar, and sodium. An influential 1982 report on diet, nutrition, and cancer from the National Research Council noted, “Of all the dietary components [the council] studied, the combined epidemiological and experimental evidence is most suggestive for a causal relationship between fat intake and occurrence of cancer.” A few years later, the 1988 Surgeon General’s Report on Nutrition and Health identified Americans’ “disproportionate consumption” of high-fat food as its chief dietary concern. But that’s exactly what happened. The food industry jumped in with both feet and two hands, creating creamy nonfat salad dressing, fat-free ice cream, Olestra, and those devilishly crunchy Snackwell’s. (For good measure, they also slapped “low-fat” labels on products naturally low in fat, like pretzels.) By 2005, low-fat and fat-free products were a $35 billion market, the largest segment of the diet-food industry. NOW, BEFORE YOU RUN OFF to enjoy a buttery bacon burger: Foods high in saturated fat, like lard and marbled beef, will not lower your risk of heart disease and will probably even increase it, though scientists debate by how much. But it is clear that replacing those foods with unsaturated fats — the kind found in olive and canola oils — will lower your risk. Even more clear is this: Real food with healthy fats (almonds, salmon) is far better for you than processed refined carbohydrates (my beloved bagels). It backfires because our bodies process different calories in different ways. We digest simple sugars and refined carbohydrates (white rice, pasta, and bread) very quickly, causing elevated blood sugar. So our bodies tell the pancreas to release insulin, which lets our cells remove the extra sugar from the bloodstream. It’s a beautiful, elegant system, until we throw it off by eating three bowls of Froot Loops and spiking our insulin into the sky. Scientists like Ludwig blame the anti-fat years, in part, for today’s obesity epidemic. 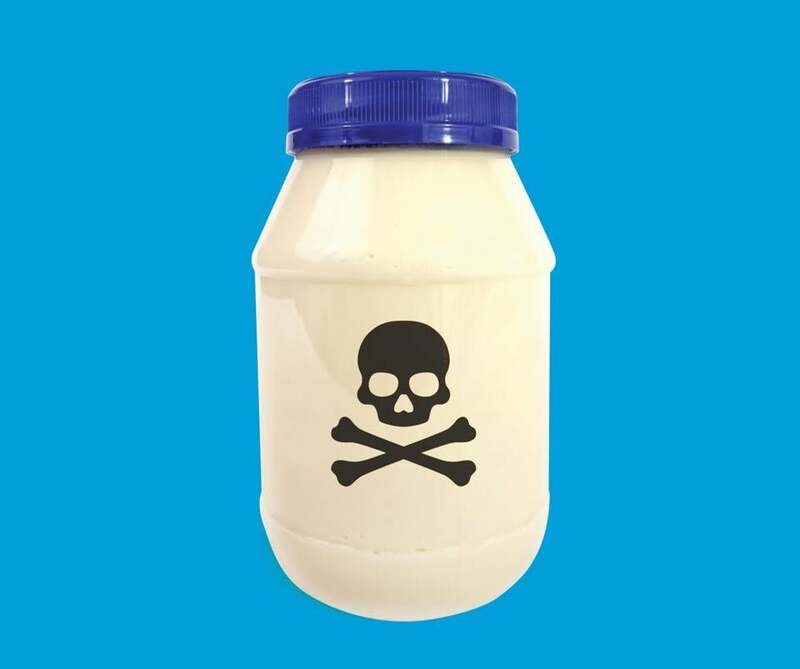 “I argue that the low-fat diet was a massive public health mistake, which is causing ongoing harms because it continues to pervade public consciousness and national nutritional policy,” Ludwig says. Everyone I spoke with agreed on this: The convenience, low cost, and superabundance of highly refined, overprocessed junk masquerading as food — Cap’n Crunch’s Sprinkled Donut Crunch, anyone? — has fueled our current predicament. Today, more than one-third of US adults and 17 percent of children are obese, according to the Centers for Disease Control and Prevention. In 1980, doctors diagnosed 493,000 American adults with diabetes; by 2014 that number had more than tripled to 1.4 million. The estimated annual health care cost of obesity-related illnesses is as high as $190.2 billion, nearly 21 percent of medical spending in the United States. 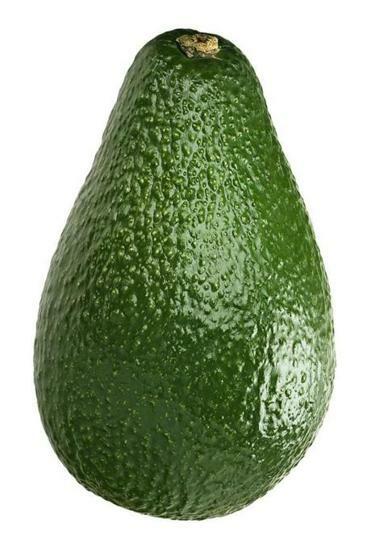 The National Institutes of Health website lists fat-free creamy salad dressing and fat-free sour cream as “almost any time” foods while sticking nuts and avocados in the “sometimes” food category, alongside sports drinks and ginger snaps. IN THE EYES OF SOME NUTRITIONISTS and policy makers, the war on fat is over, or at least winding down. The 2015-2020 Dietary Guidelines for Americans focuses, refreshingly, on developing healthy eating patterns tailored to our sociocultural and personal preferences. And the latest guidelines from the American Heart Association and the American Cancer Society don’t focus on fat. In fact, the former doesn’t recommend a low-fat diet for optimal heart health — and “low-fat” in terms of total fat intake doesn’t appear in its 2006 or 2013 guidelines. Yet a low-fat legacy remains. Supermarket shelves are still stocked with reduced-fat Wheat Thins and Cheez-Its. Nancy Clark says her nutrition clients still “look at me with their raised eyebrows” when she suggests they eat more peanut butter. The 2012 National School Lunch Nutrition Standards banned whole milk but allowed chocolate skim milk with its added sugar. The National Institutes of Health website lists fat-free creamy salad dressing and fat-free sour cream as “almost anytime” foods while sticking nuts and avocados in the “sometimes” food category, alongside sports drinks and ginger snaps. Maybe we need a new dietary paradigm, one with no villains and a more holistic approach. In his Circulation paper, Dariush Mozaffarian writes that one of the most spectacular public health successes of the 20th century was the 90 percent reduction in deaths from motor vehicle accidents, even as Americans drove far more, to just 1.7 per 100 million miles traveled from 18. “This remarkable triumph was achieved by a comprehensive, multicomponent effort targeting the driver, car, road, and culture,” he notes. Safer cars, speed limits, driver education, and drunk-driving and seat-belt laws all played a role. Similarly, our nation’s nutrition woes must be solved from all directions: products, portion sizes, cost, and culture. We’ve been treating food as a mere nutrient stew, like the gray goo Keanu Reeves and his companions choked down in The Matrix. As you may recall, one character in the film went rogue, driven to betray his companions while enjoying a juicy steak. The character was supposedly the villain, but to me, he was the most human of them all. Barbara Moran is a science writer in Brookline. Send comments to magazine@globe.com.